When Lady Miranda Hawthorne starts to develop affections for two men, she inadvertently uncovers secrets that will put more than her heart at risk. Oh! 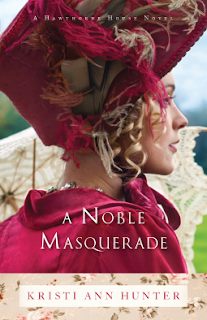 I just love a good Regency and A Noble Masquerade did not disappoint! 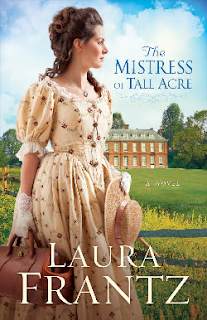 I'm not a mystery reader, per se, but the Regency genre naturally lends itself to intrigue and suspense, which I enjoy... and Kristi delivered it well - with plenty of romance to sweetly satisfy. You'll love her characters, too. I wasn't sure if I'd like Miranda from the first few pages, but she quickly won me over with her journaling letters to Marsh. And then there was Marlow, the handsome valet... and the mysterious, missing Duke – or is he? Ahh, and Ryland's loyal, unusual servants and greedy family will have you reading faster to see who prevails! I can't wait to see what Kristi writes next! I have really enjoyed Cathy Gohlke's books. 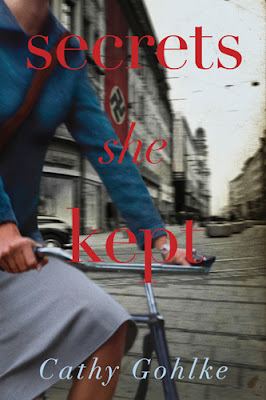 Secrets She Kept was very unique, covering two storylines – one modern (albeit set in the 70's), one historical. It was a hard book to put down! I was really drawn to Lieselotte (beautiful name as well!!) and loved that the Ten Boom sisters were tied in to her experience (I have always loved their story)! Hannah's chapters will have you leaning forward, trying to figure out the strange mystery surrounding her grandfather and his friends. Her visits to the Jews that her grandfather wronged were both eye-opening and heartbreaking. A perspective that I never really gave thought to before. Though a satisfactory end, the story itself brings some sadness to know that issues were not resolved while people were living. A good lesson on truth...and regrets. Thank you to Margaret and Thomas Nelson through Litfuse for sending me a copy to read and review!